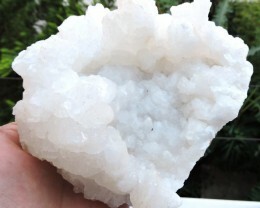 This is a natural specimen from Morocco showing strong cluster of crystal development. 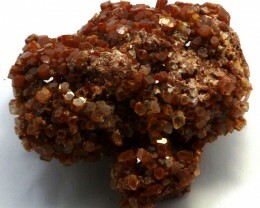 Aragonite occurs in two distinct places Spain and Morocco. 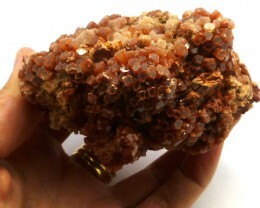 This crystal cluster is from a pocket in a Moroccan lava bed, where it formed at high pressure and relatively low temperature. At surface conditions, aragonite is actually metastable, and heating it to 400°C will make it revert to calcite. 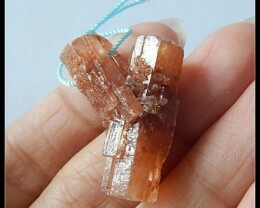 The other point of interest about these crystals is that they are multiple twins that make these pseudo-hexagons. 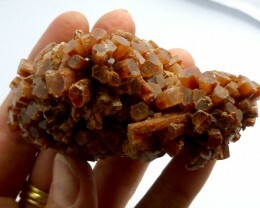 Single aragonite crystals are shaped more like tablets or prisms. 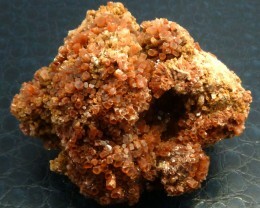 Aragonite is calcium carbonate with the same chemical formula as calcite, but its carbonate ions are packed differently. 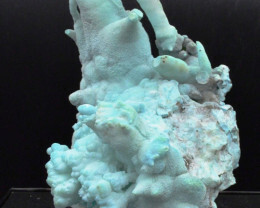 That is, aragonite and calcite are polymorphs of calcium carbonate. 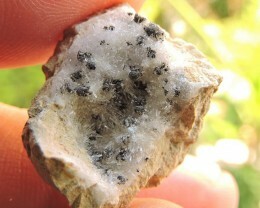 It is harder than calcite (3.5 to 4, rather than 3, on the Mohs scale) and somewhat denser, but like calcite it responds to weak acid by vigorous bubbling. 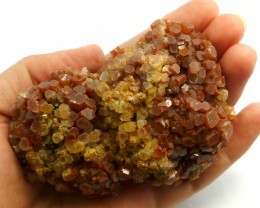 You may pronounce it a-RAG-onite or AR-agonite, though the majority of American geologists use the first pronunciation. 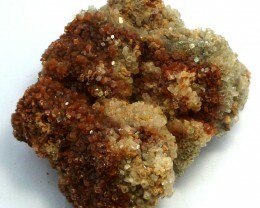 It is named for Aragon, in Spain, where notable crystals occur.